...that holidays are usually far too short. And most of the time we have to sit at our desks with only memories of the best time of our year. We created this page to help you dream, so you can use the time to think and plan your next trip! This is the space where we keep you updated about Myanmar, sailing holidays and everything else related to the sea and the yachts we like. Cat Vinton: The Life of the Moken "Sea Gypsies"
British photographer Cat Vinton spent weeks on a kabang boat, documenting the life of a Moken family on the Andaman Sea. Here she talks about this fascinating project and shows us some of her amazing photos. In 2009 I lived with a remote, self-sufficient nomadic people whose warmth and openness allowed me to capture a fast-disappearing way of life. Equipped with sufficient Moken to communicate, I lived with Tat and Sabai, on their Kabang with their three young boys for several weeks. 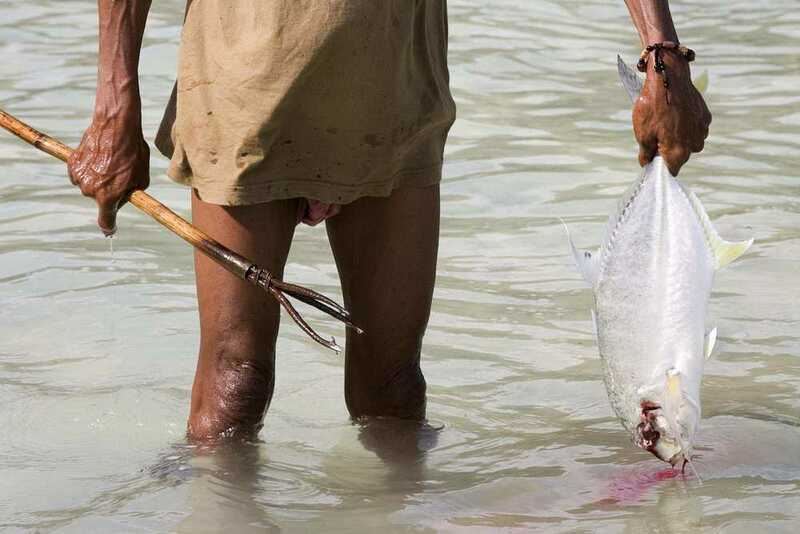 I was witness to some of the last years of nomadic Moken existence, a sustainable way of life that is in complete harmony with the rhythm of the sea. 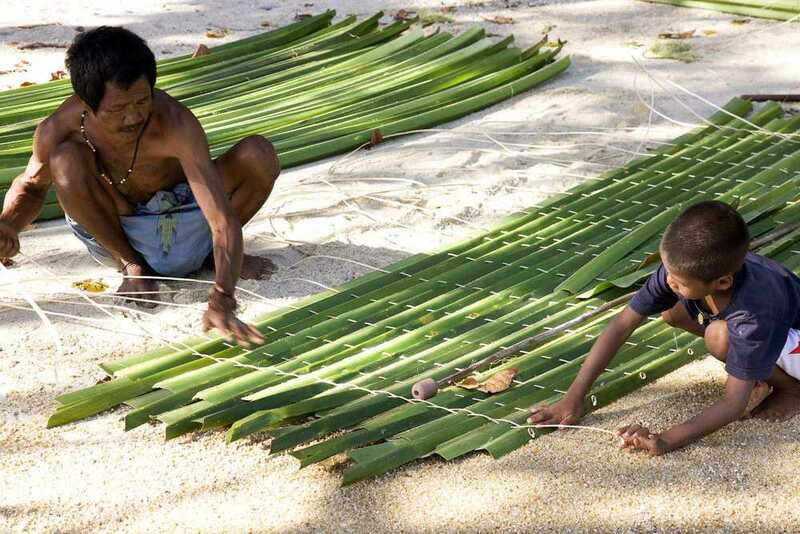 The Surin Islands, to the south of the Mergui Archipelago in the Andaman Sea are home to the last, elusive Moken, who have lived as hunter-gatherers among these isolated Islands for centuries. They’re born to live - on single-log sailboats known as kabang - and die at sea. The ocean is their home and goes beyond a means of transportation or a food bank. The Moken can hold their breath underwater and free dive deeper than almost any other people on earth; they learn to swim before they walk; they have no notion or measure of time; they don’t know their own age; they have no concept of worry, and no word for want nor goodbye. Tat could read the water, and wielding his spear from the bow of his kabang he rarely missed a beat. 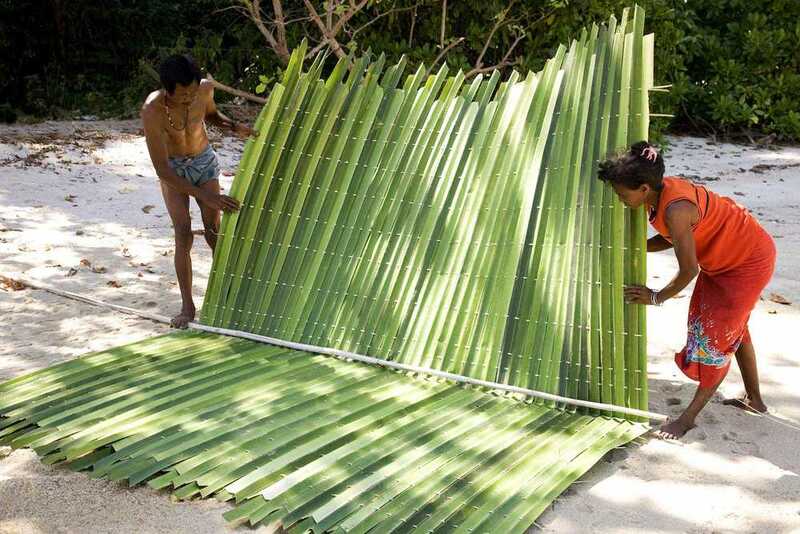 He bequeathed life skills to his sons, drafting illustrations in the sand, teaching them to dive for fish, to sail and make a roof with the rainforest plants for their kabang. The turquoise water and pristine beaches were the playground for the three young boys growing up as nomadic Moken, as generations had before. Sabai gathered shellfish from the rocks, sea cucumbers from the bed, dug for lobsters and sandworms and trepanned for wild yams in the ‘fridges’ of the rainforest. At night, the singsong of Moken voices would echo across the moonlit sea. They were truly content here on their Kabang, the life they knew. 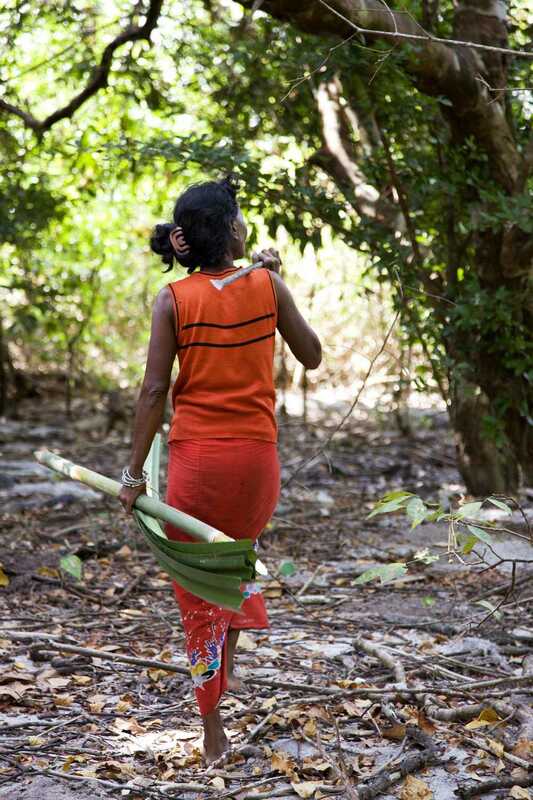 The Moken people have always tried to hide from outsiders, disappearing from view if any stranger came near. Today, the Moken have no place to hide: over the past few years it has became more difficult for the dwindling numbers of nomadic Moken still clinging to their wandering way of life. Mass fishing and aggressive assimilation policies have firmly pointed them towards land, rendering them stateless. The flotillas are no more as authorities have compromised their freedom, culture and natural disposition, replacing it with dependency and isolation. Tat and Sabai held out the longest, as the very last of the sea nomads. In late 2014 I returned to find them. Their way of life has changed dramatically from what I had been lucky enough to witness. The family now lives on Au Bon Yai, a village perched on the edge of the rainforest. Sabai’s sight has failed so she rarely leaves the hut, and the boys are now pursuing a more conventional island education. Baba, the eldest, excels in class but keeps the ‘old ways’ alive, leading his school friends on fishing missions in between lessons. This is what the next generation of Moken looks like, for now, but I fear the world is becoming impoverished with the loss of another unique culture. Buda Island, also referred to as Nyaung Wee Island, is south of Lampi and part of the Mid Group. The island is home to a small village called Makyone Galet, which is situated on its east coast and offers some fun hikes and great views across the nearby isles. The village head proudly estimates that the islands is the home of 500 inhabitants but walking along the beach that seems to be a very optimistic estimate. There is a scenic little house on stilts in front of the beach where local fishing boats like to refill fresh water. Some of the local fishing families will be happy to cook meals for visiting sailors and the kids are always excited to see foreign visitors. Bo Cho Island is a lush island just opposite the southeastern tip of Lampi. In the channel between the two islands lies the Moken village Ma Kyone Galet. Many Moken (Salone) fishermen find shelter here during the rainy season and some families have made it their permanent home. Most of the Moken houses are directly at the beach, some with their stilts in the water at high tide as the families like to keep an eye on their boats at all times. 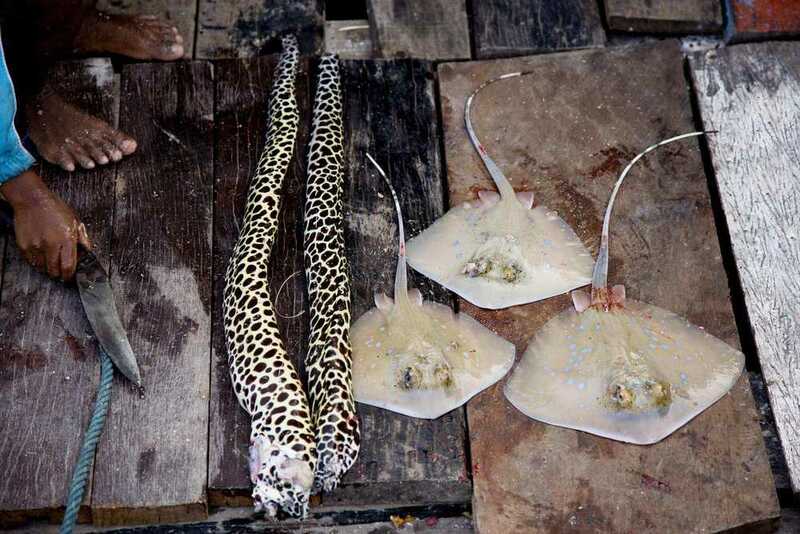 There are about 200 houses Ma Kyone Galet with an estimated population of 850 people, which is as urban as life in the Mergui Archipelago gets. There are also a few simple shops, a school, and a small temple with a Buddha statue overlooking the bay. Anchoring in the channel is tricky as the current is pretty strong. But there is a beautiful long beach and a fascinating and accessible mangrove forrest just around the corner on Lampi Island. Hlaing Gu is a long and narrow island with a beautiful horseshoe-shaped bay in the south which offers protection from the wind, lovely snorkelling and a long white stretch of sand. Hlaing Gu is sometimes also referred to as Cavern Island. Some of the caves on the rocky south side of the isle are right at the waterline and one can even be accessed by dinghy boat. You'll be able to see bamboo ladders on the rocks: fishermen used them to collect birds nests - a delicacy in many parts of Asia. There's a small trail leading to the top of the island's 270 meters-high hill with its rich wildlife, small waterfalls and rivers. Local fishermen sometimes collect fresh water here to fill up their water tanks. Poni is a middle-sized island, a few miles away from the southeastern tip of Lampi Island. Poni is covered with thick jungle. But the west side of the island features a great beach - a beautiful anchorage with a magnificent view of the surrounding islands on the horizon. It's not unusual for us to discover large animal tracks in the white sand here. There's also a beautiful reef off the beach - a great spot for snorkelling! Some even say the underwater life around Poni might be the most beautiful in the entire Mergui Archipelago. Poni Island is quite close to islands 115 and Nyaung Wee, one of the areas often visited by the Moken Sea Nomads. Lord Loughborough is a beautiful island covered by thick green jungle. In the northwestern bay of the island is a small fishing village populated by Moken and other fishermen. Walk along the wooden jetty and follow the path to the right. There is a little school overlooking the ocean and you will probably make dozens of new friends here as the kids are very curious and this place does not receive many visitors. There are a few basic village shops along the beach. Don't expect any shopping opportunities, but you can buy fish or possibly some shells or cashew nuts. Many Moken come here to work on their boats and if you show interest, they will be happy to show off their techniques. Following local tradition, most houses here are built on pillars as life is still all about the sea. Have a look at the panorama photos below. Great Swinton Island is also called Kyun Pila or Kyun Phi Lat in Burmese and is about 50 nautical miles from Kawthaung. The massive bay on its west-coast has one of the most gorgeous, long beaches of the whole archipelago. The east coast of the island has a good source of fresh water, which is why a tiny, fishing community developed here in the course of the last years on the east coast. One of the locals told us the following story: at some point recently, the residents got worried that the government might resettle them. So they decided to build a Buddhist temple (with one monk), which they thought would give them more legitimacy. So far, their strategy works. At the northern end of the village bay, there is a small floating wooden hut with a hose channeling water from a waterfall on the island. You are likely to visit with your yacht as this is one of very few places where boats can refill their tanks in the archipelago. Otherwise life on the island is quiet and the residents will be excited to welcome you ashore. There is a small hut right at the beach with a pool table. Try to win against the local kids. Or chat with the village head who will be happy to show you the treasures local free divers found in a sunken British trading ship from the past century. The short hike up the mountain with the pagoda on the southeast side of the island offers a great view over the bay. Check out the three panorama pictures below. Hastings Island (or Za Det Nge Island in Burmese) offers a lovely anchorage for the night in a bay sheltered by altogether four uninhabited islands, each with long white-sand beaches. The island in the north is called Barwell Island, the other name some sailors use when referring to this anchorage. On many of our cruises, we spend the first night in the Hastings/Barwell Island group. Watching the sun set over the dense jungle of Hastings is spectacular. The water is clear and you can listen to the birds and monkeys chatting in the forrest. From Hastings it takes about three comfortable hours to sail to Kawthaung, so some local fishing boats also use this bay to spend their last night before reaching port and so Hastings is one of those spots where it's really easy to meet other boats and barter some fresh catch from the fishermen. Have a look around on the panorama photo below or open a large version of the image in Google Maps. 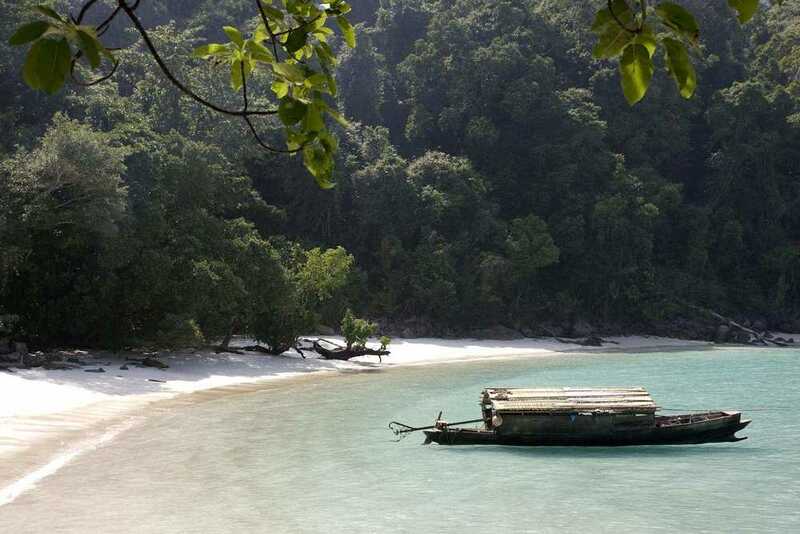 The Mergui Archipelago in Myanmar's far south is already home to one of Myanmar's national parks: on and around Lampi Island. So far, however, the implementation of environmental protection in the area has not received a lot of attention, to put it mildly. That's why we were excited to hear that key stakeholders decided to establish a Marine Protected Area (MPA) in the Mergui Archipelago at a workshop in Myeik. Over two days the workshop discussed the biodiversity values of the archipelago for Myanmar and the Andaman Sea, new research data from ongoing scientific assessments, key sites for marine conservation, and threats facing the ecosystems and fishing industry and how MPAs, as a management tool can offer a way for sustaining fisheries resources. The workshop was co-hosted by the Union Deputy Minister of Ministry of Livestock, Fisheries and Rural Development, Minister of the Ministry of Forest and Mining (Tanintharyi Region) and conservation NGOs Fauna & Flora International and the International Union for the Conservation of Nature (IUCN). Situated in the north-eastern Andaman Sea the Myeik archipelago comprises over 800 islands of white sandy beaches and coral reefs teeming with a diverse array of marine life. Over the past two years scientific surveys have been conducted by Fauna & Flora International in collaboration with the Myanmar authorities. This included Myanmar’s first scuba dive marine research team, trained in underwater survey techniques and accompanied by international researchers. The teams identified 287 species of coral and 365 reef fish species as well as reefs rich in echinoderms, crustaceans, molluscs and sponges. These corals reefs, along with sea grass areas and mangrove forests, which provide a crucial nursery habitat for many of the species of marine life which the fishing industry depends, are however under serious threat. Such threats include overfishing, destructive fishing methods, sediment run off and global warming. However, the researchers noted that “a few key sites were found to have rich and intact coral communities with coral cover up to 92%, a figure which even amazed international experts, while some other reefs still have the potential to recover if well managed”. Such management interventions include MPAs as well as Locally Managed Marine Areas (LMMAs) a type of MPA system in which local communities manage their own nearby coral reef, much like community forests have been developed in Myanmar. • Identify technological solutions for collecting and analyzing large data sets to understand and improve commercial fisheries. 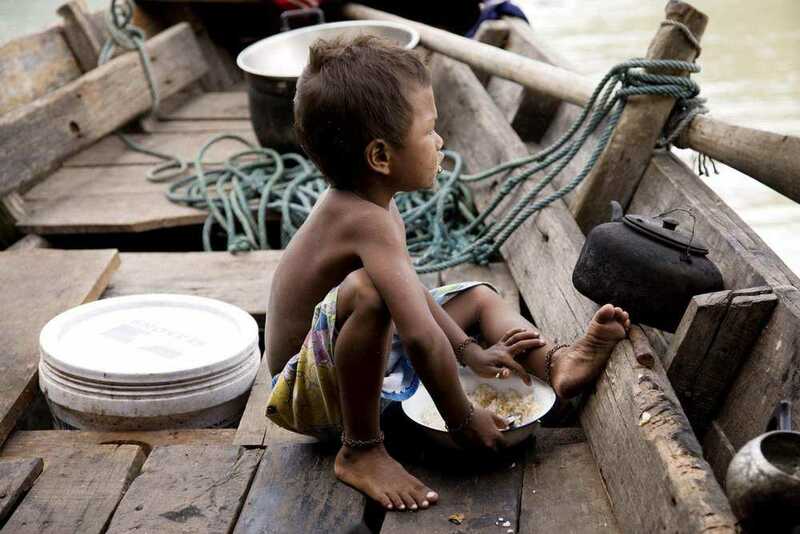 Frank Momberg, FFI Myanmar Program Director says: “Myanmar’s fisheries resources have declined dramatically over the last decade. 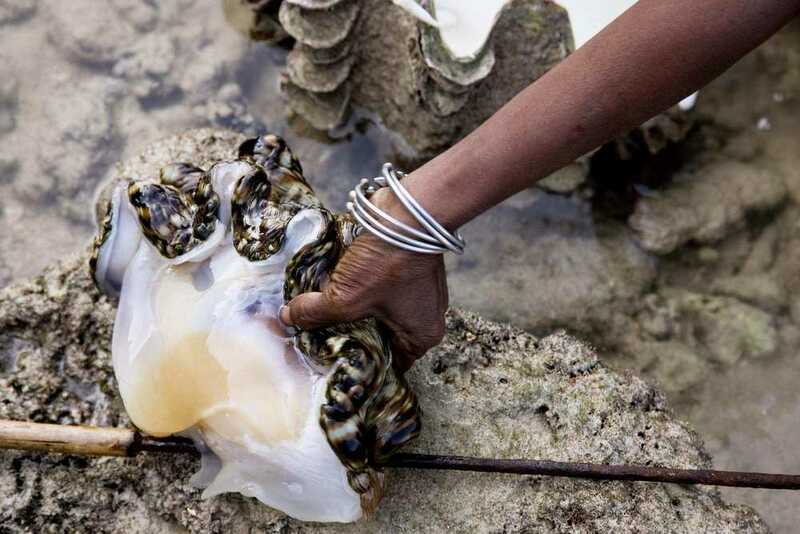 However, establishing a marine protected area network in Myanmar will protect important nursery grounds for fish such as coral reef and mangrove areas, critical to maintaining the livelihood of coastal fishing communities and the fishing industry”. Good on Fauna & Flora International for organising the workshop and achieving these important results. Now let's hope that the plans will get implemented! Most people have not yet noticed that Myanmar has some of the most beautiful beaches and islands in all of Asia. Here's a list of some places you should know when you are planning your next trip to Myanmar. And you will have most of these spots all to yourself! 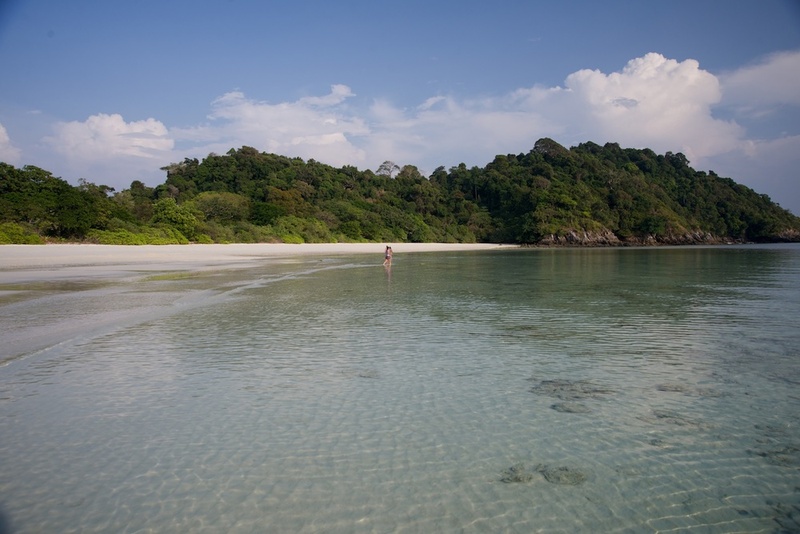 Sometimes also called Pilar, this is definitely our favourite island in Myanmar's beautiful Mergui Archipelago. The long white beaches stretch for kilometers without a footprint in the sand. We frequently see monkeys sitting on the beach and leisurely snacking on crabs. It's a real paradise! ... is the largest island in the southern half of the archipelago and it's shaped like a giant horse shoe. Scientists are just starting to explore the amazing wildlife of Lampi. It is said that there are still wild elephants living in the forests, but at this moment nobody really seems to know. Currently the only island in the archipelago with a small resort which blends in well and does not disturb the nature. ... is surrounded by many beautiful smaller islands and there are so many that some don't even have a name. On the east side of Nyaung Wee I is a small Moken village we frequently visit during our trips. This would be one of the islands without name and we love it for the beaches, the great views of the other small islands and the corals growing around it. There's also a small hiking trail through the forest. ...and most of them are just as gorgeous. 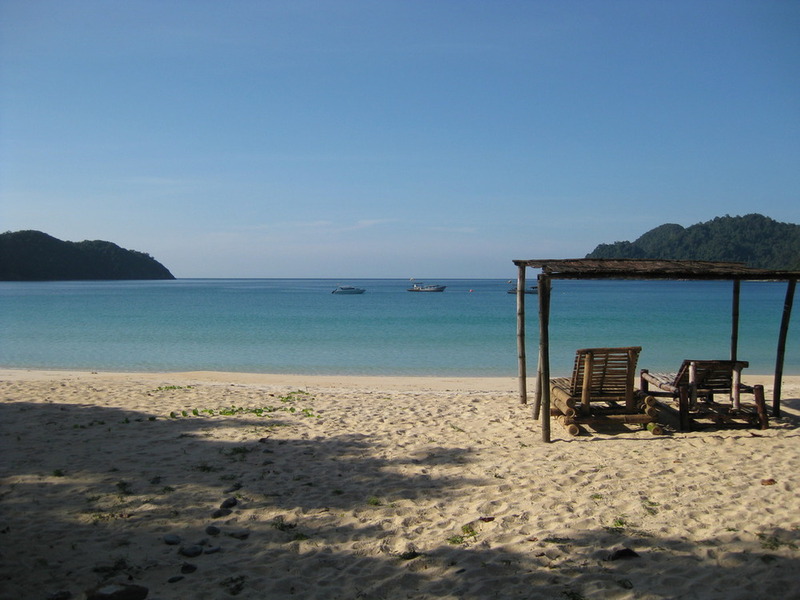 The Mergui Archipelago has over 800 islands in total. Each and every one of them is a treasure. Here are some more impressions. There are some great books on Myanmar and on the region we are sailing in. Below is a short list of recommendations for various guide books. You will also find most of the books on this list in our small board library. Please let us know if you have any other suggestions for our library. For our complete list of reading recommendations, please have a look here. Few things are as frustrating as snorkelling (or fishing) in Southeast-Asia and not being able to identify the fish in front of you. Allen's book is the best guide for identifying fishes in the region we've come across so far. It even rates each fish for its tastiness! This updated edition of the award-winning Princeton Field Guide is the most comprehensive book on Southeast Asia's rich bird life. Situated at the crossroads between India, China and Southeast Asia, Myanmar has absorbed foreign influences over the millennia to develop a rich and complex cuisine. Naomi Duguid has been heralded as one of the most important cookbook authors introducing Asian cuisines to the West. In this new book, she explains Myanmar’s food and flavours in 125 recipes, interspersed with intriguing tales from her travels throughout the country. Sailors love clouds. They are strange and beautiful and they tell us plenty about the weather and the wind. This book catalogues a wide variety of clouds, ranging from commonly observed to rarer types, and is the perfect incentive to keep your head in the clouds. Formerly called “Andaman Sea Pilot”, this is the go-to reference book for anyone planning to sail in the Andaman Sea and beyond. It provides the most detailed descriptions available on sailing conditions, currents, anchorages and the islands in the Mergui Archipelago. Myanmar Andaman Resort is so far the only resort in the Mergui Archipelago, well hidden in at the beach of Macleod Island. If you are looking for fun on the beach, many restaurants, clubs and shops, it is not the place for you. If you are expecting luxury and five star hotel facilities you will be disappointed. But if you have been searching for a secluded island with a pristine beach, the proximity of spectacular dive sites and a direct access to the treasures of unspoiled nature, you will most certainly like it. Myanmar Andaman Resort is the only man-made construction on the island. So virtually the whole territory of Macleod Island is at your disposal and you can spend your free time trekking the jungle. Views from the highest mountain of Macleod Island are spectacular. Currently the management is planning to open a mini spa. There are 14 cottages and 8 chalets. Rates start somewhere in the area of 700 USD for 3 nights - and you have to stay for a few nights, as getting there is not all that easy. Myanmar Andaman Resort Company Ltd.